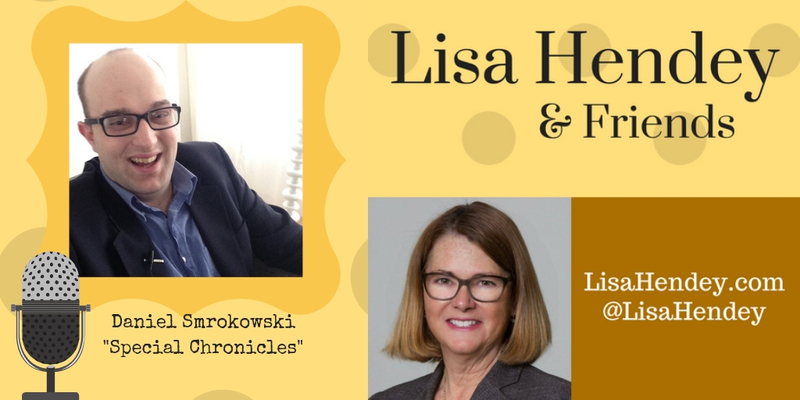 On this week's show, we welcome Special Chronicles Founder and Special Olympian Daniel Smrokowski for a conversation about telling special needs stories and the "Revolution is Inclusion" campaign. Daniel Smrokowski was born three-and-a-third months premature and was diagnosed with learning disabilities and a severe language disorder. He has a B.A. in Journalism from Roosevelt University. Daniel is the founder of Special Chronicles, a nonprofit media platform that gives respect and voice to people with special needs. He is an award-winning columnist covering special needs stories. Daniel is also involved as an athlete, global messenger, and board member with Special Olympics Illinois. In 2018, Daniel was named a ComEd Energy Force Ambassador and a Global AbleFinder Ambassador. Special Chronicles is a nonprofit media platform that gives respect and voice to people with special needs. We produce podcasts, award-winning columns, and news stories that have reached over 80,900 viewers globally. 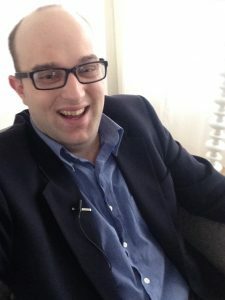 The Special Chronicles radio show tells special needs stories in a unique way because the host, Daniel “PodmanDan” Smrokowski, is a person with special needs. Because of his insider’s perspective and the show being available online, Special Chronicles broadcasts distinctive, first-person accounts of special needs that are heard around the world. Daniel interviews people with special needs including their families, friends and anyone who touches their lives. Special Chronicles is your weekly guide to finding joy, acceptance, and inclusion. One by one the Special Chronicles radio show lets us meet real people, hear their voices and understand what is important to people with special needs. While this may not be a message you personally benefit from, it is desperately needed in the special needs community. We all need an outlet, a place to be understood and Special Chronicles provides that for people with both visible and invisible special needs.